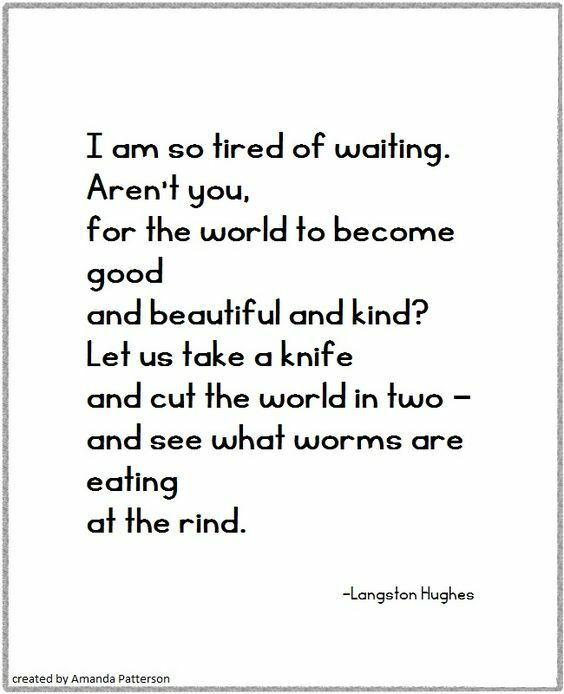 This entry was posted in Hunger & Poverty, Quotes and tagged beauty, good, kindness, knife, Langston Hughes, poetry, quotes, waiting, worms on March 8, 2016 by Ray Buchanan. Thanks for the kind words. I will definitely check out your site.